In its 1997 decision, Paralyzed Veterans of Am. v. Arena, the U.S. Court of Appeals for the D.C. Circuit created an important bulwark against federal administrative agency evasion of notice-and-comment rulemaking. Under the “Paralyzed Veterans” doctrine, an agency had to comply with formal (and time-consuming) administrative procedures even when it claimed to be doing nothing more than interpreting existing rules, if the agency was de facto reversing its existing regulations. 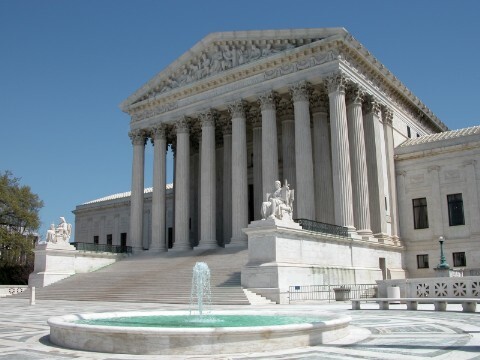 The Supreme Court’s decision last week in Perez v. Mortgage Bankers Assoc. unanimously set aside Paralyzed Veterans. The Court held that the Administrative Procedure Act (APA) does not require a regulatory agency to adhere to notice-and-comment rulemaking when it issues a rule interpreting one of its formal regulations. Largely ignoring the D.C. Circuit’s rationale, the Supreme Court said that it would presume that the 2010 rule was an “interpretive” rule because (supposedly) “the parties litigated this suit on [that] understanding.” The Court said that the text of the APA does not mandate notice-and-comment rulemaking for interpretive rules and that the D.C. Circuit thus erred in adopting an extra-statutory mandate. But by starting with the premise that the 2010 rule was an interpretive rule, the Supreme Court created a straw-man argument never espoused by the D.C. Circuit, which stated explicitly that its decision to strike down the 2010 rule was based on its reading of the text of the relevant APA provisions. Moreover, the Respondent repeatedly argued before the Supreme Court that the 2010 rule was not an interpretive rule. The Supreme Court’s only response was to note that the Solicitor General premised his certiorari petition on a claim that the D.C. Circuit had mandated notice-and-comment rulemaking for an interpretive rule, and that the Respondent waived the point by failing to dispute the Solicitor General’s claim in its brief opposing the cert petition. But while that response might justify a ruling against the Respondent in this case, it provides no justification for condemning all non-parties subject to the DOL rule, let alone all applications of the Paralyzed Veterans doctrine, which (as the D.C. Circuit decision below made clear) does not assume that challenged rules are interpretive but rather provides a standard for differentiating between substantive and interpretive rules. Substantive Rules v. Interpretive Rules. The APA requires federal agencies, before they adopt “substantive” rules (a/k/a “legislative” rules), to provide notice of the proposed rule and a meaningful opportunity for members of the public to comment on the proposal. Exempted from the APA’s notice-and-comment requirement are mere “interpretive” rules. Agencies seek to avoid notice-and-comment requirements by deeming as many rule changes as possible interpretive changes; the requirements are burdensome and can delay agency action for months or even years. Yet, despite nearly 70 years of APA litigation, the scope of exempt “interpretive” rules has never been fully pinned down. The Paralyzed Veterans doctrine was the D.C. Circuit’s principal contribution to that debate. The appeals court held that when an agency issues a definitive interpretation of one of its formal regulations and later seeks to issue a new interpretation that squarely conflicts with the prior interpretation, the new interpretation is a “substantive” rule and thus may not be adopted unless the agency first goes through notice-and-comment rulemaking. The court sensibly reasoned that when an agency seeks to repudiate its initial interpretation, it has in effect amended its formal regulation, and that an agency should not be permitted to “reinterpret” a regulation as a means of evading the formal rulemaking requirements that (everyone agrees) apply whenever an agency amends its regulations. The appeals court applied Paralyzed Veterans on only three occasions to invalidate a rule adopted without the benefit of notice-and-comment rulemaking, most recently in the Perez case. The Department of Labor (DOL) promulgated the rule at issue in Perez in 2010. DOL concluded, based on an interpretation of its own 2004 regulations governing overtime pay, that mortgage companies are required to pay overtime to loan officers who work more than 40 hours per week. The 2010 rule was a 180-degree reversal from an earlier DOL rule, issued soon after the 2004 regulations were finalized, holding that loan officers were exempt from overtime requirements. Applying the Paralyzed Veterans doctrine, the D.C. Circuit held that the 2010 rule reversing DOL’s previous interpretation was a “substantive” rule and thus subject to the APA’s notice-and-comment requirements. The 2010 DOL Rule Is a Substantive Rule. While the precise line distinguishing substantive rules from interpretive rules remains unclear, the Supreme Court has said that an agency rule is not interpretive if it has “the force and effect of law” or is one “affecting individual rights and obligations.” Applying that definition, it is difficult to see how one could classify the 2010 DOL rule as anything other than a substantive rule. It undoubtedly had the “force and effect of law” by mandating that employers pay overtime wages to mortgage loan officers—a direct reversal of a previous rule stating that overtime pay was not required. Indeed, because federal law creates a “safe harbor” for employers who decline to pay overtime wages in reliance on a DOL rule, any employer who failed to pay overtime wages is absolutely immune from employee lawsuits seeking recovery of pre-2010 overtime wages. DOL’s 2010 elimination of that safe harbor well illustrates that the DOL rule has “the force and effect of law.” Because DOL’s 2010 rule was a substantive rule—by imposing a wage-payment obligation and a potential for damage awards that did not exist previously—the D.C. Circuit faithfully applied the APA when it held that DOL should have engaged in notice-and-comment rulemaking before issuing the rule. Many commentators recognize that rules such as the 2010 DOL rule have the force and effect of law, particular given the Supreme Court’s prior holding (in 1997’s Auer v. Robbins) that an agency’s interpretation of its own regulations are entitled to deference from the courts. Some of those commentators suggest that the appropriate check on agency re-interpretation of their own regulations is to overrule Auer. There is much to be said for eliminating Auer deference, and at least three justices have urged the Court to consider doing just that. But if, as Justice Scalia recognized in his concurring opinon in Perez, employing Auer deference gives the 2010 DOL rule “the force and effect of law,” then existing APA case law already demands that the rule be deemed a substantive rule subject to notice-and-comment rulemaking. Life after Paralyzed Veterans. By misinterpreting the basis for the Paralyzed Veterans doctrine, the Court has undercut an effective means of combating arbitrary assertions of power by federal agencies. Paralyzed Veterans did not prevent agencies from abandoning prior interpretations of federal statutes and regulations. It simply ensured that they not do so without a thorough review of the issue, including solicitation and meaningful consideration of the views of all interested citizens. In the absence of Paralyzed Veterans, there is virtually no check on an agency’s ability to rewrite its formal regulations based on entirely political considerations by issuing informal rules purporting to “re-interpret” the prior regulations. While such informal rules are still subject to “arbitrary and capricious” review under the APA, those familiar with administrative law realize that the availability of such judicial challenges rarely serve as a meaningful curb on agency action. Hence, the Court’s unanimous, albeit erroneous, interpretation of the APA may empower federal agencies to take even greater steps to evade notice-and-comment rulemaking requirements. That evasion would be bad news for private citizens, who could be left with fewer opportunities to provide meaningful input into government decision-making. Snatching Victory from the Jaws of Defeat. Although the Supreme Court explicitly disapproved the Paralyzed Veterans doctrine, it nevertheless may be able to survive in concept if not in name. The Court disapproved a distorted version of the doctrine—one premised on the assumption that the challenged rule qualifies as an interpretive rule under the APA. The Court is undoubtedly correct that the APA does not permit courts to impose notice-and-comment requirements on an agency seeking to adopt an interpretive rule. But the real point of Paralyzed Veterans is that some rules that purport to do no more than reinterpret existing regulations are, in fact, substantive rules because they, in effect, re-write the existing regulations and thus have “the force and effect of law.” Nothing in the Perez decision prevents litigants from continuing to raise such procedural challenges to agency rules. As such, the D.C. Circuit and other courts of appeals should revive the properly conceived Paralyzed Veterans doctrine under another name. Courts could examine whether a particular reinterpretation has “the force and effect of law” by asking:, Does the agency expect the courts to defer to its reinterpretation? Does it intend to bring enforcement actions against those who do not comply with the regulation as reinterpreted? If a court determines that the reinterpretation does, indeed, have the force and effect of law, it should invalidate the rule under the APA unless the rule has gone through formal notice-and-comment rulemaking procedures. FDA’s Next Gift to the Litigation Industry: A Veritable Ban on Partially Hydrogenated Oils?